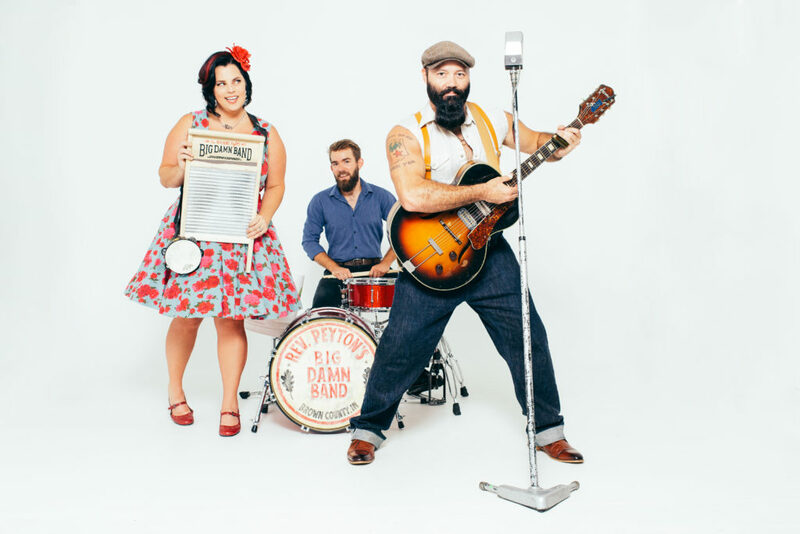 2019 BMA Award Nominee The Reverend Peyton's Big Damn Band are the greatest country-blues band in the world. Led by Reverend Peyton, who most consider to be the premier finger picker playing today. He has earned a reputation as both a singularly compelling performer and a persuasive evangelist for the rootsy, country blues styles that captured his imagination early in life and inspired him and his band to make pilgrimages to Clarksdale, Mississippi to study under such blues masters as T-Model Ford, Robert Belfour and David “Honeyboy” Edwards. Now The Big Damn Band is back with an explosive new record and world tour. Reverend Peyton's guitar work on the new record Poor Until Payday is phenomenal and howls the blues. Poor Until Payday is a bluesy ode to the blue collar - working class and it delvers in spades!